Dorothy Heiderscheit is a member of the Franciscan Sisters, Dubuque, Iowa. Dorothy holds her Masters in Social Work from Tulane University, New Orleans, LA and a BSN from Marycrest College in Davenport, IA. She is a member of the Academy of Certified Social Workers (ACSW) in the USA, licensed as an Independent Social Worker (LISW) in Iowa, and as a Registered Social Worker (RSW) in Ontario, Canada. Previous ministry experiences include the Office of Family Ministry with Catholic Charities of Jackson, MS, Board membership and chairman for the State Board of Mental Health of Mississippi, Clinical Practice for Religious and Clergy in the Tri-State area of Dubuque, IA, and eight years as Congregational President with the Dubuque Franciscans. 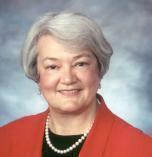 Sr. Dorothy has served Southdown as Chief Executive Officer as well as Continuing Care Coordinator. Michael Sy has been with The Southdown Institute since 1987 and he currently is the Assessment Team Leader. Michael obtained his doctorate from Fordham University in New York City, NY. He is licensed to practice in the Province of Ontario and the State of Massachusetts and is registered in both the Canadian and American Register of Health Service Providers in Psychology. Dr. Sy’s primary focus is in assessment, clinical neuropsychology, cross-cultural differences and cognitive behavioural therapy. He assists religious communities and dioceses with interventions, crisis management and personnel issues. Michael provided assistance in establishing assessment and outpatient services in Philippines and United States. In addition to English, Michael speaks several languages including Filipino (Tagalog), Mandarin and Fukienese. Eran Talitman is a licensed psychologist in the province of Ontario. He has been working at the Southdown Institute since 1998 and is currently the Clinical Team Leader. He provides assessment and psychotherapy services to religious and clergy as well as consultation services to leadership. Eran has offered seminars and workshops on Intimacy, Healthy Sexuality, Effective Leadership, Responding to the Call to Healthy Priesthood, Navigating Personality Styles and Disorders, Resilience, Conflict Management, Keeping Our Soul Alive, and Developing Healthy Ministerial Boundaries. Sr. Connie has joined Southdown's clinical team as the Continuing Care Coordinator in October 2016. She is a Sister of St. Joseph of Sault Ste. Marie, Ontario. She holds a Social Service Worker diploma from Confederation College, Thunder Bay, and is a registered member of the Ontario College of Social Workers and Social Service Workers. Sr. Connie has additional training in Clinical Pastoral Education through The University of Winnipeg. She brings 25 years of clinical experience and knowledge, predominantly in the field of Addictions and Mental Health, from her former ministry at the Sister Margaret Smith Centre of St. Joseph’s Care Group in Thunder Bay. Ben Williams completed his doctorate in clinical psychology (emphasis on neuropsychology) at the University of Victoria in British Columbia, Canada. He has been a psychologist at the Southdown Institute since 2006. He works in both the assessment and residential treatment programs with individuals with psychological as well as cognitive concerns. His interests include mindfulness, effective communication, cognitive decline and sleep hygiene. Carol Cavaliere is a doctoral candidate in clinical psychology at York University in Toronto. She has been a member of the clinical team at the Southdown Institute since 2015. In addition to providing psychological services to individuals with various mental health concerns, Carol also has training in the areas of forensic assessment and treatment. Her interests include emotion regulation, psychosexual development and wellness, and intimacy and interpersonal relationships. 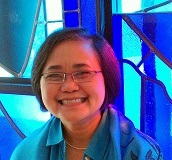 Febe is a Spiritual Director and a member of Southdown’s clinical team since 2007. She was trained as a Spiritual Director at the Institute for Spiritual Leadership in Chicago. She holds a Master’s degree in Guidance and Counseling from the University of the Philippines where she worked as a counsellor for over twenty years. Her interest in Spiritual Direction stems from the interplay between spirituality and psychology. Febe has been a member of the Teresian Association since 1981. Greta DeLonghi has a deep and abiding interest in attending to people’s stories. Greta earned an honours specialist degree in English language and literature from St. Michael’s College at the University of Toronto, then completed a one-year journalism degree from Carleton University in Ottawa and worked for more than 25 years in the field of journalism. During that time, she also studied theology part-time at Regis College, the Jesuit graduate school of theology at U of T, earning an MA in Ministry and Spirituality and a Diploma in Spiritual Direction in 2011. She was also inducted into the Regis chapter of Alpha Sigma Nu, a Jesuit honour society recognizing scholarship, loyalty and service. 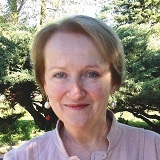 Shortly before starting at Southdown in September 2017, Greta completed a year-long residency in spiritual care (chaplaincy) at St. Joseph’s Healthcare Hamilton, serving patients and staff in several clinical units at both the acute care and psychiatric hospitals, including acute mental health and concurrent disorders, where she led spirituality groups and worked one-on-one with patients. Susan Roncadin graduated from St. Michael’s School of Nursing in Toronto, Ontario. Her experience includes the areas of medicine, surgery, and emergency department. In addition, she holds a CNA certification in psychiatry and mental health. She has worked at Southdown since 2000 and is currently the Nursing Supervisor. She is involved in both the areas of assessment and residential treatment. She has done training with the Toronto Centre for Psychodrama and Sociometry and the American Society of Group Psychotherapy and Psychodrama and facilitates psychodrama group weekly in addition to doing group facilitation with the residents in the Addiction Track. Her interests include advanced health assessment and health teaching. Janet graduated from Wellesley School of Nursing in Toronto and holds a post-graduate certificate in Epidemiology and Infection Control from University of Ottawa. Her nursing experience includes Infection Control, Emergency, Obstetrics and NICU, Long Term & Palliative Care, Infant & Child Intervention Programs and Medical Member of the Federal Review Tribunal for CPP Disability. Janet served for seven years as Co-Director of the Supervised Ministry and Internship Program at Tyndale Seminary in Toronto. She joined the nursing staff at Southdown in 2001. Susan Morrison is a graduate of Wellesley School of Nursing in Toronto. Her experience includes the areas of medicine, surgery, nephrology, family health care, gerontology, infection control and foot care. Susan joined the Nursing Team at Southdown in 2009. In addition to her involvement in the assessment and medical treatment of the residents at Southdown, she is certified for Advanced and Diabetic Foot Care. Susan provides foot care to the residents as needed as part of Southdown’s integrated, holistic approach to mental health. Amy Torch has been at Southdown since 2011 assisting residents with healthy eating and providing individual and group nutrition education classes. She also liaisons with the food service department and nursing to ensure that nutritionally adequate and appropriate meals and snacks are provided. Amy is dynamic and personable and thrives on empowering people through her experience and education to help set realistic goals to succeed. She is a Registered Dietitian who has been practicing clinical nutrition since 2000, focusing on weight management, diabetes education, heart healthy eating, metabolic disorders, women's health and mindfulness. Amy graduated from Ryerson University with a BASc in Food and Nutrition, followed by an Accredited Internship in Clinical Nutrition at Mount Sinai Hospital in Toronto. She then achieved certificates as a Certified Diabetes Educator along with a Craving Change Educator. Amy is registered with the College of Dietitians of Ontario and Dietitians of Canada. Amy brings her many years of experience of nutrition counseling through working in an outpatient Adult Diabetes Education Clinic and running her own Consulting Dietetics Private Practice.